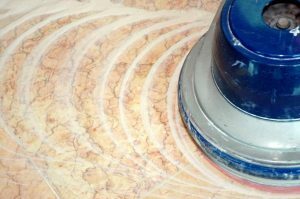 The Importance of Professional Commercial Tile and Grout Cleaning | Crystal Clear Enterprise, Inc.
No matter how much you would want your industrial and commercial flooring to look spectacularly clean and lustrous year after years, it is not possible unless you acquire professional cleaning services. Over the course of time, tiles and grout gradually lost their sleekness and shine. Even regularly mopping them regularly does not achieve the desired results for the dirt is embedded so deep inside that restoration is not attainable unless professional cleaning service is hired. Cleaning the grout is crucial to your company because it creates a welcoming environment. Having a healthy and immaculate appearance is important for your commercial facility. Here are some of the reasons that will highlight the importance of professional tile and grout cleaning. Professional tile and grout cleaning for your commercial facility is extremely important. This is because your ordinary kitchen cleans and toothbrush will not be able to remove the deeply penetrated particle from the porous grout. Grout does not only accumulate dirt and also absorbs moisture as well making the particles sticky. Cleaning the grout professionally will be much more effective than the DIY cleaning strategies because high power equipment and specialized products are used to break through the adhesive residues and extract the soiled grout. Even though mopping is a vital part of everyday industrial and commercial maintenance and cleanliness procedure, it doesn’t quite remove all the contaminants and the grime from the grout. This leads to the gradual build up of the contaminants which when left longer without professional cleaning will make the floor appear dull and dirty. If you do not believe this, then just have a peek at anyone of the public washrooms. You will notice a dramatic difference in the grout of the walls and the floors. Despite the regular mopping and cleaning, the tiles are discolored and the grouts are blackish in color. Cleaning the grout using your own resources is a thoroughly time consuming process. Grout is present in between two tiles and all the cracks and fixtures. Cleaning these in a large commercial space is an incumbent task and it would not be easy on your employees at all. Your workforce may be required elsewhere and you may not be able to compensate for the time consumed by the tile and grout cleaning. On the other hand hiring a company that has industrial grade cleaners and equipment such as steamers and custom made products will be a smart move. Maintenance after the getting the tiles cleaned professionally is just as important as hiring a service to clean them to begin with. The commercial professional cleaning service will have really experienced technicians who will be able to give you professional advice on how to keep your tiles look pristine long after. Getting your tiles and grout cleaned professionally will prevent them from being discolored, elongating the lifetime. In the long run, professional tiles and grout cleaning could prove to be a cost-effective measure.